What is a Sluice Gate? A sluice gate regulates how and where water is moved. 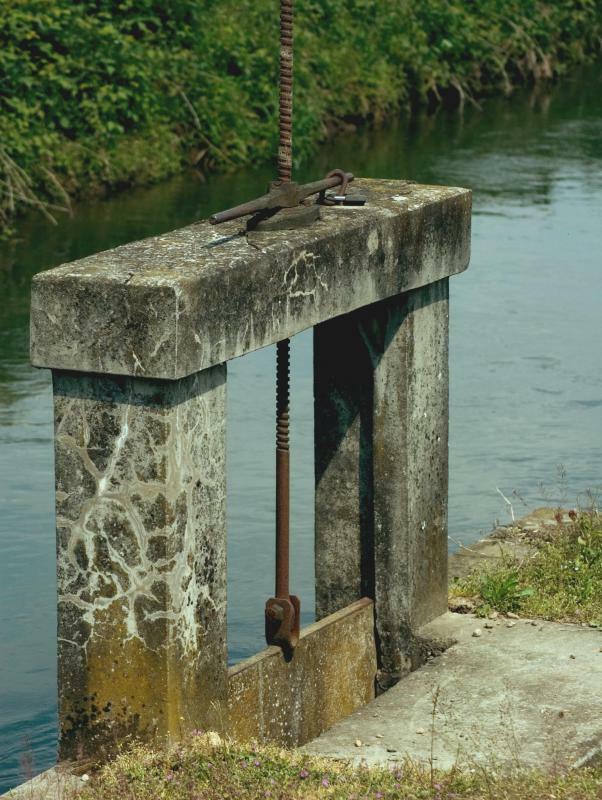 A sluice gate may be used in rice fields to control flooding or water levels. 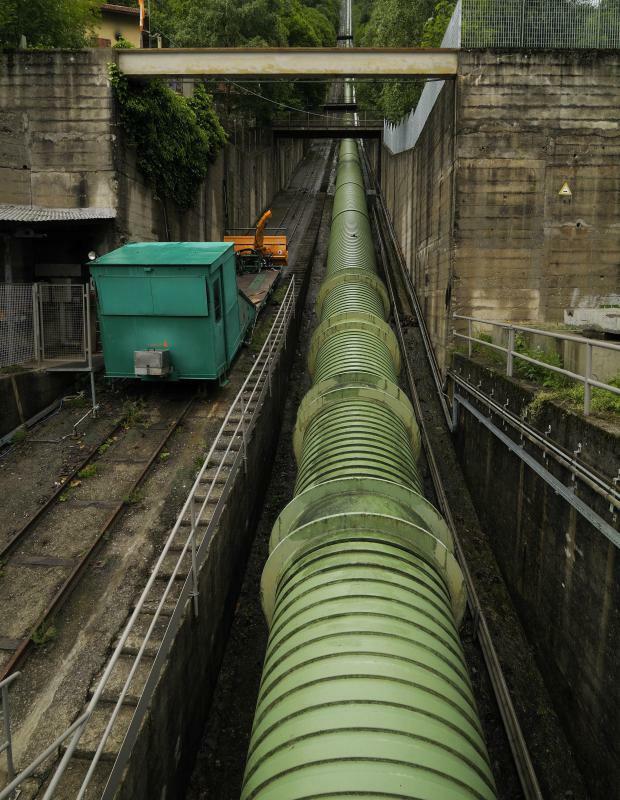 Water can flow freely through a penstock when the sluice is fully opened. Dams commonly use sluices to help control the flow of water. A sluice gate is a mechanism used to control water flow. These devices are often used in water treatment plants, mining, dams, rice fields, and cranberry bogs, among other places. The gates are typically made of wood or metal, and often slide vertically on a frame to open or close, allowing water to flow out of a space or to be contained in it. For this reason, they are also known as a sluice gate valve. 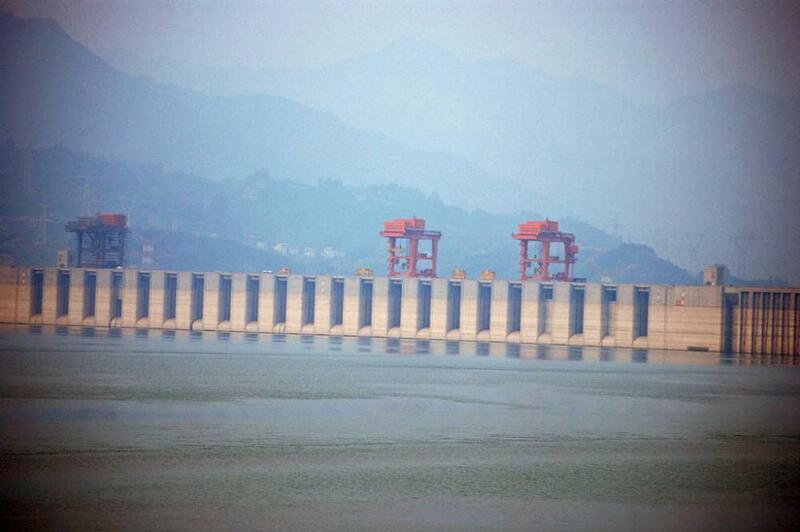 Sluice gate design is not only limited to a vertical sliding system, however. One kind of sluice gate acts like a flap and is moved by water pressure being greater on one side than the other. Others are even cylindrical in nature. The word sluice indicates a man-made channel or modified natural waterway that conducts water. This kind of gate regulates how and where that water is moved. This is especially useful for controlling flooding or water levels in farming and other industries. Many sluice gates are moved by means of a threaded rod system, which needs to be regularly cleaned and greased. Often, when these gates are used in applications with a large amount of water pressure, such as dams, they are raised and lowered by hydraulic systems to control the sluice gate flow. Sometimes in smaller uses, such as in cranberry bogs, the gates are raised and lowered manually. At other times, an electrically-driven hoisting system is used. Historically, sluice gates proved useful in mills. A mill sluice was known as a millrace, and would often turn a waterwheel or turbine, which could be then used to power equipment needed in sawmills and gristmills. The millrace was often regulated by sluice gates to decrease or increase the flow of water, depending on when it was needed. A sluice gate can be known by other names depending on geographic location. For example, in the coastal plains of Sommerset, England, the gates are known as clyce or clyse. In Guyana, they are referred to as kokers. One concern with the use of sluice gates in rice fields is that fish often cannot navigate through them. In Bangladesh, for instance, much of the flood plain is used to grow rice, and water level is regulated for its optimal growth. Since sluice gates have been used for this, fish became scarce where they were once plentiful. Traditionally, the fish have formed an important part of the diet of the poor who inhabit the region. Once the problem was recognized, guidelines were established for gate use, ensuring that fish can travel where they need to so that local fishing remains viable. What are the Different Options for Gate Designs? @kylee07drg – Using wood for sluice gates can be dangerous. I heard about a worker who fell through rotten wooden sluice gate boards and eventually died because of this. The sluice gate was on a cranberry farm, and the guy had to stand on top of wooden planks to use a pole to open more wooden boards in front of the gate and let the water through. He didn't know the ones he was standing on were rotten, but he found out when they broke and he fell. He lived for a couple of months, but he caught pneumonia while trying to recover from his broken leg. He then got sepsis and died. So, if it were up to me, I would use concrete for a sluice gate. Metal would be my second choice, but concrete sounds like the safest, sturdiest option. Sluice gates sound like an awesome option for farmers. They are always needing either more water or complaining of too much rain, so a sluice gate would give them a way to take matters into their own hands. I knew that cranberries were grown in water, but I did not know until reading this article that the water level was manipulated by sluice gates. Farmers have plenty of control over their irrigation, and that's probably why cranberries are always plentiful. I do have one question, though. 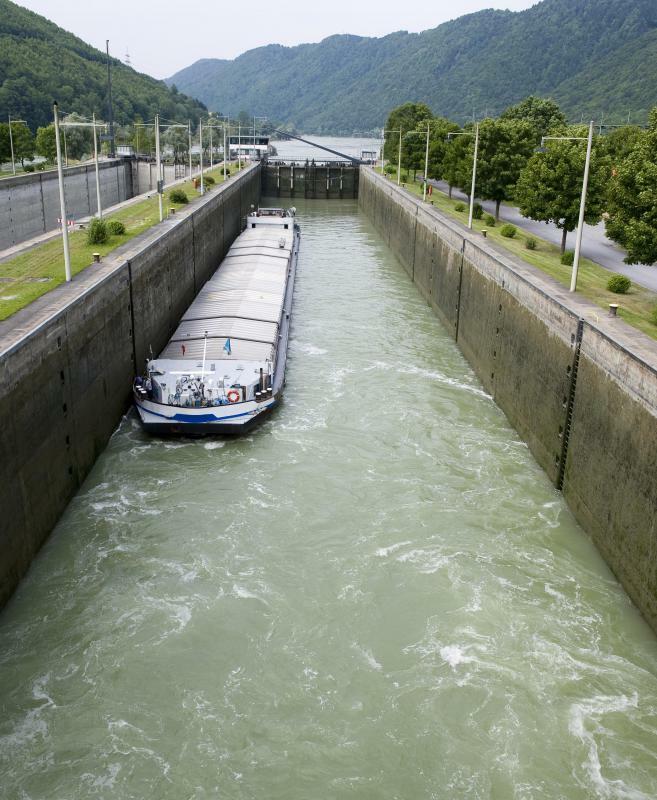 The article says that sluice gates can be made of wood. Wouldn't this be a bad material to use in such a moist environment, since wood can rot? The dam at a huge manmade lake near where I live uses a sluice gate. Without this gate to control the water level, several towns would be destroyed by all the water, and many people would lose their lives. This gate is used to control water flow into the Mississippi Delta and many towns along the way. The spillway is a huge round hole with a concrete ramp extending off of it to the lake below. The area in front of the sluice gate attracts tons of fishermen. On any day, you can see them down there next to the rapidly flowing water with their fishing poles, hoping to catch dinner for that evening.